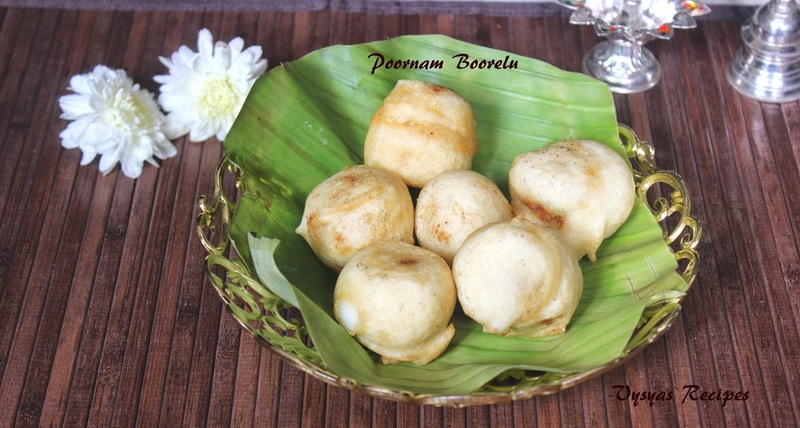 Boorelu (Poornalu Recipe) is a Popular authentic deep fried Andhra sweet Recipe, made during festivals like varalakshmi vratham,diwali,ugadi and also at weddings,and in some special occasions. it is called Suzhiyan in malayalam.Boorelu or sugunta in Andhra.sukkinunde in karnataka.Now we learn the recipe. Prep Time : 20 minutes. Soak Rice and urad dal together 4 - 5 hrs or overnight with needed water and grind into a smooth paste like idli dosa batter consistency and add salt to it and mix well. Soak Chandal for 2 hrs, and pressure cook for 1 whistle with needed water directly in a cooker.Then drain the water, in a colander, and add jaggery with it, and grind into a smooth paste. Then add grated coconut to it and mix well.Now stuffing is ready. Make the Chandal into goosebery sized balls, as shown in the picture,dip the stuffing well in batter, and coat it(i used spoon to coat), till the stuffing is covered well with batter, and coated evenly. Then deep fry it in a moderate flame, till it is well coooked and turns light golden colour. you can Replace Chandal with toor dal also. 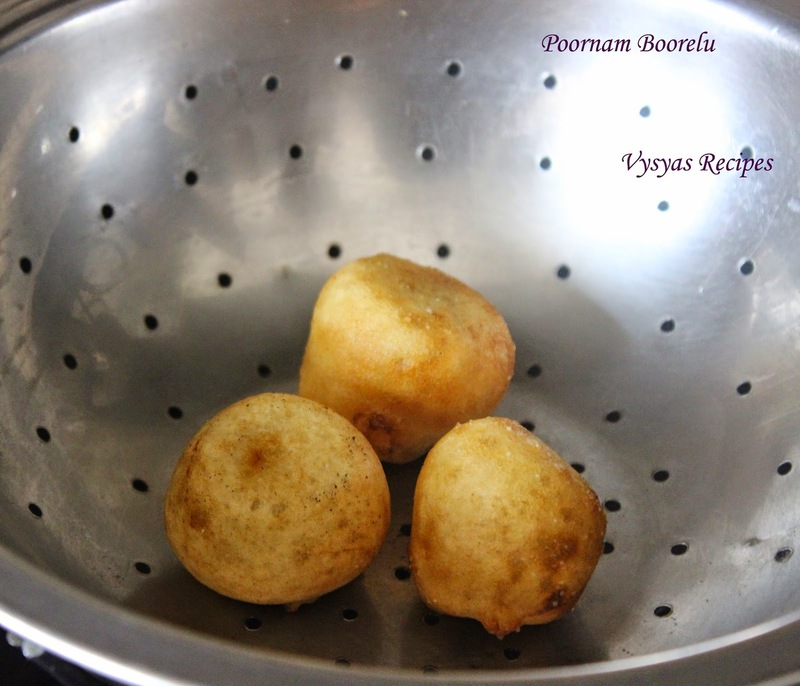 Consistency of batter should be thick like idli/dosa batter, if it is thin it absorbs more oil. if Chandal stuffing is watery you could fry the dal in a pan till it is thick. you could take it out fully golden brown or mild golden brown according to your taste.if you want more crunchy take it out fully golden brown. Get this from my neighbour every festival. I love it. But have never made it. yummy susiyam. my family likes susiyam very much. For me, its the filling which trills and excites. Until today, I peel of the dough and enjoy the inside. Yum and so good.